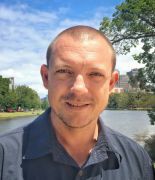 David Kennedy is an Associate Professor in coastal geomorphology and the Director of the Office for Environmental Programs at The University of Melbourne. His research focusses on the impact of climatic and environmental change and how sea level, storms and tsunami drive our dynamic coast. David’s research partners with many agencies from Surf Life Saving Australia, to AusAID as well as state and federal government agencies in Australia and overseas (incl. U.K., Tonga, Niue and New Zealand). David is the elected chair of working groups for many academic societies such as The International Association of Geomorphologists. As Director of the Office for Environmental Programs, he oversees the University's large cross-faculty, interdisciplinary coursework program the Master of Environment. 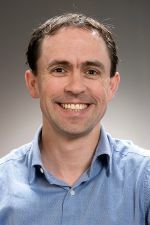 Prior to joining the University of Melbourne he was Education Program Manager at the International Energy Centre, coordinating the professional, interdisciplinary Master of Energy Studies, and lecturing on topics of energy policy, global change, and sustainability leadership. Dr Thomas coordinates the core subject Sustainability Governance and Leadership. Stephanie Lavau is a Lecturer in Interdisciplinary Environmental Practice. Her research and teaching focus on social and cultural aspects of environment management and governance, particularly in relation to ecosystem health, environmental risk, biodiversity conservation, and natural resource management. Stephanie's research interests include: the production and intersection of environmental knowledges; nature-cultures; and policy-practice interfaces in governing environments. 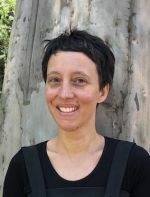 She has studied sustainable river management in Australia (funded by an APA and CSIRO); the extension of biosecurity policy into food production and environmental management in Britain (funded by ESRC); the socio-technical challenges of biological control for crop protection in Britain (funded by Plymouth University); and the role of biological indicators in lay and expert apprehensions of environmental change (funded by ISSR). Stephanie's research is primarily qualitative and ethnographic, and is situated at the intersection of science and technology studies, human geography, and environmental sociology. Stephanie has recently returned to Australia from the UK, where she was a Postdoctoral research fellow at the University of Exeter and then a Lecturer in Human Geography at Plymouth University. She has previous professional experience in science communication and science policy in government and environmental organisations.